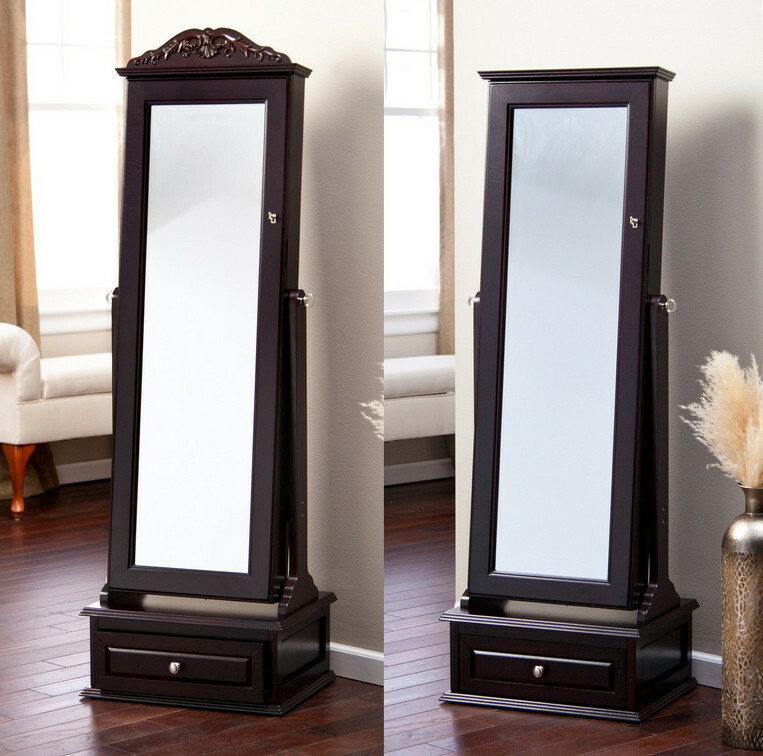 These are armoire jewelry boxes that made of a darker tone hardwood. Besides serving as boxes for storage of jewelry, they are dressing mirrors. One has a flowery motif on top and the other one is flat. When kept on a stylishly laminated floor, with white walls, these boxes are perfect.